1. A Small light weight brinjal with less seeds cut into very thin slices (preferably) with a slicer. 2. 4 Tabsps of bengal gram flour. 3. Musturd oil for deep frying. 4. 1 tsp poppy seeds. 7. 1/2 tsp of soda bicarbonate. 9. A cup of water. 10. A pinch of powdered pepper. 11. A pinch of black salt. In a mixing bowl add the gram flour, salt, turmeric, soda bicarbonate, poppy seeds, onion seeds and mix well. Now add water to make a smooth batter with a consistency of cake batter. Heat the oil in a deep pan. Now coat the brinjal slices on both sides and deep fry till light brown. Spinkle some black salt and powdered pepper and serve hot. 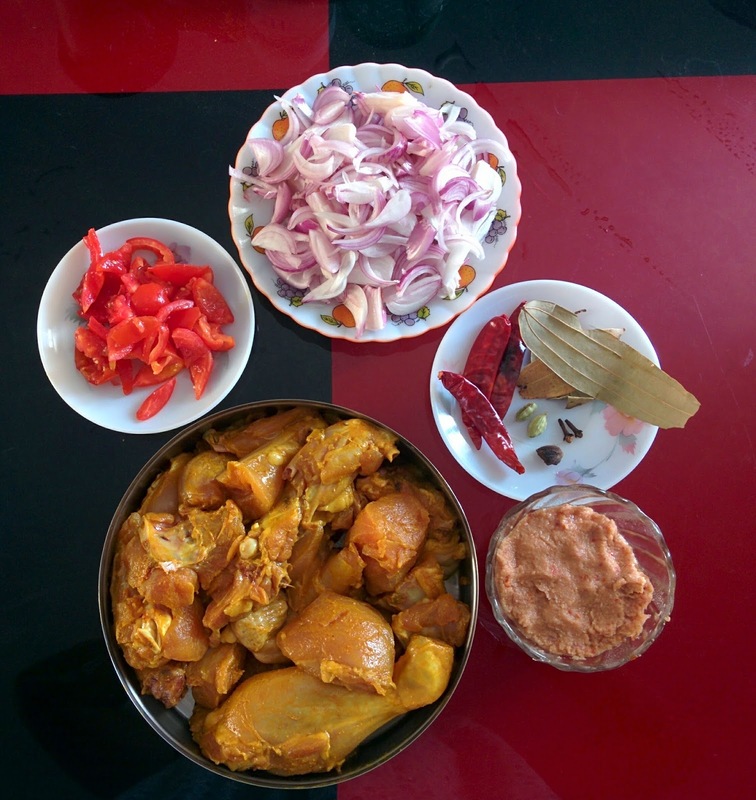 Chicken Kasa is the most delicious and simple recipe among all bong chicken recipes. Doubt if there exists any dish which can match the taste! Chiken kasa goes well with plain white rice, fried rice, chapatis or parathas. Marinate the chicken with curd, 2 tsp oil and 1 tsp turmeric powder and keep aside for half and hour. In a pan, pour the remaining oil and fry the potatoes with a pinch of salt and turmeric powder. Stain the potatoes and keep aside. Now in the pan, saute the ginger garlic paste till it turns golden.